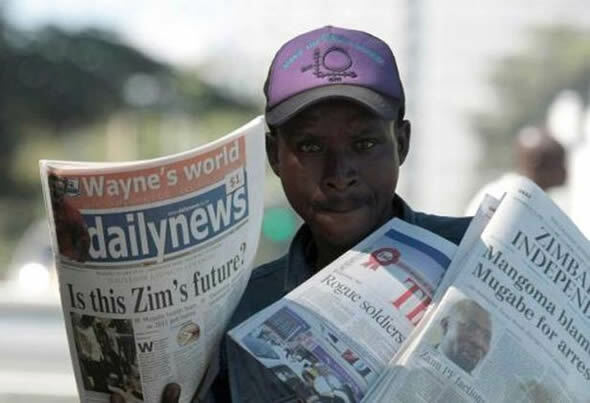 Online and Print news publication The Daily News has been sued by Jonothan Moyo, the former information minister of Zimbabwe. The publication is being sued after they posted un-redacted diplomatic cables first made available by Wikileaks. In the cables it was revealed that Moyo had voiced support for sanctions against President Mugabe, while suggesting that specific party members be targeted with sanctions. In his lawsuit Moyo says the comments makes him appear hypocritical, having been a staunch supporter of Mugabe. It’s also not the first time Moyo has sued the publication, he demanded $60,000 when they published an article discussing his ouster from the Zanu PF politburo party, even after he later rejoined the party. Since The Daily News simply reported on publicly available information published in Moyo’s own words (available through WikiLeaks) they will likely be protected, however the lawsuit does highlight how the still developing age of new media reporting is being questioned at every turn. In support of The Daily News Reporters Without Borders are accusing Moyo of attempting to “throttle” the paper. Zimbabwe is ranked 136th out of 175 countries on the RSF free press index.